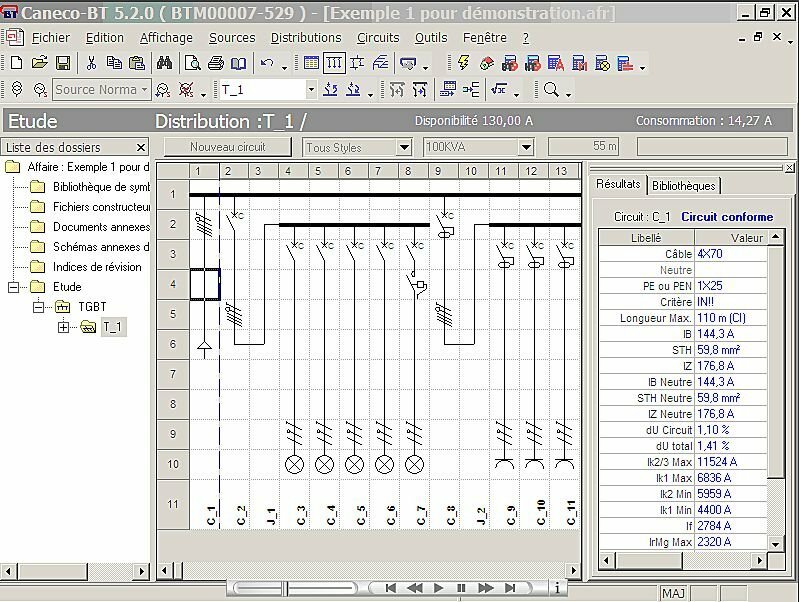 Caneco BT V.5.2 is a � calculation + schematics � software for low voltage electrical installations. It is the European leader of its sector and it obtained three technical certificates: NFC 15-100, BS, RGIE. It defines, cost effectively, the wiring system as well as the distribution devices according to a multi manufacturers database. It produces every diagrams and useful documents for the conception, implementation, control and maintenance work of the installation.